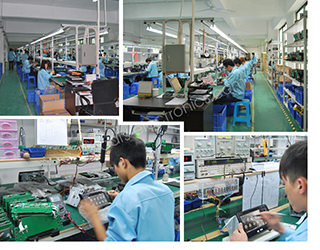 Cars-electronics.com is a Factory-Direct e-Commerce platform owned by KEMDDO Co., Ltd and based in Shenzhen, China. With Quality, Service and Cheap Price in our products, we're dedicated to providing our customers the best car electronics like car dvd players, car monitors, car gps navigation, rear view mirror gps, car alarm system, rear view camera, parking sensors and so on. we know that trust and word of mouth play an important role in doing business, so we cherish every customers who come to cars-electronics.com. We strive to offer you the best quality products during sourcing products, processing your order, testing products, packing and tracking your products. While quality issues are generally tied to low prices in the industry, we hand test most of our shipments unit-by-unit to ensure your satisfaction. New products are selected with reliability considerations and your expectations in mind. Directly linked with over 100 factories in China, this is your avenue to steal a bargain right on the shop floor of a factory since 2006 in China. Due to Economic Crisis at the end of 2008, we acknowledge that small business online is the trend of the times, so we establish this website to meet the needs of online buyers. Whether you’re a wholesaler looking to increase revenues, a retailer who refuses to pay the high prices in your country, or a shopper looking to get hold of the latest products, cars-electronics.com provides light-speed service and wholesale prices. We buy direct from car electronics manufacturers so we can keep costs low while maintaining the highest of standards. Our goal is to make your shopping experience as easy, comfortable and positive as possible. If you have any questions about the products and services you see on cars-electronics.com, please don't hesitate to contact us.